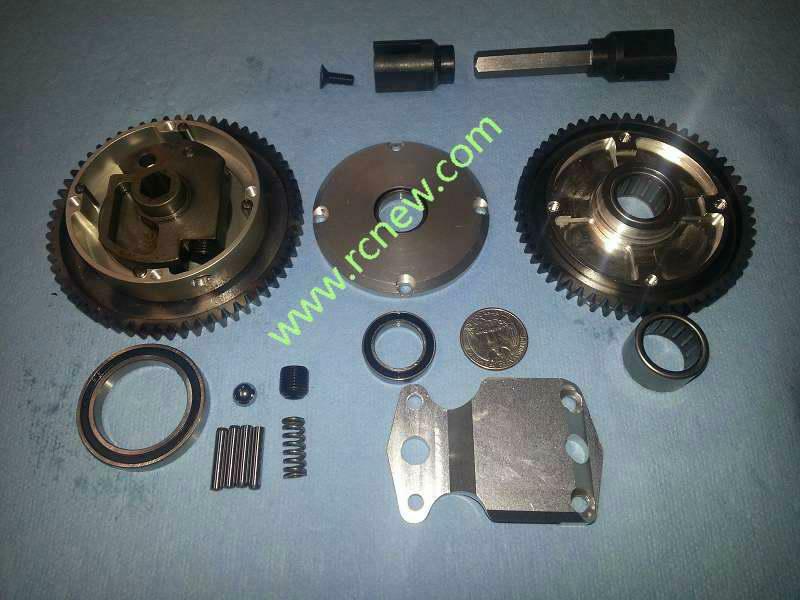 RCNew is Proud to Introduce it's 2 Speed Transmission for the Losi 5ive Vehicles. Your vehicle will accelerate faster and have a better top speed than a traditional single speed setup. A 17T/61T 1st speed gearing will give you greater acceleration over the stock single speed. The 21T/57T 2nd speed offers much needed top speed. We have 12 different gear ratios available for optional with those speed freaks wanting even more speed. Fits the Losi 5ive Vehicle. 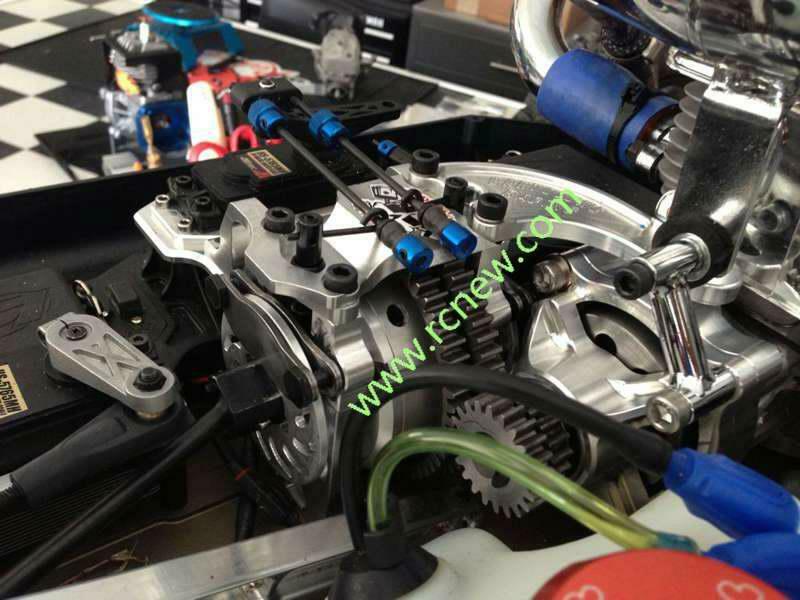 Fits All Other Losi 5ive Brand Products (Rovan/King Motor). Fits Most 1:5 Scale Racing Cars. This is a big tough transmission for a big heavy vehicle! We have fixed two of the simplest issues that have brought a bad name to 2 speed transmissions in 5th scale vehicles. 1st, we use a massive 18mm ID one-way bearing that can easily handle the load that these vehicles can put on a drivetrain. 2nd, we found and fixed a simple design defect in traditional 2 speed transmissions which can cause binding and inconsistant shifting (if it even shifts at all). Nothing in the 2 speed is small just like the Losi 5ive it is built for. Our pawl is a massive 52mm in diameter, 12mm wide, with a 7mm wide catch. This is a lifetime component. 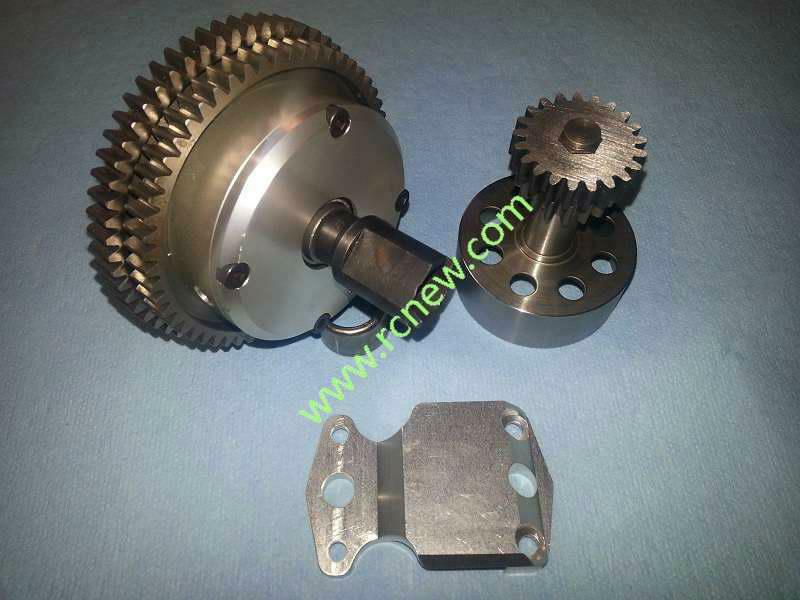 All Parts are Made of Aluminum and Metal, and Made by CNC Machining with High Quality. Heavy Duty Upgrade KIT with Special Design for Your Racing Cars. Proudly Designed, Tested, and Manufactured from RCNew. Latest Updated Edition by July 2016. 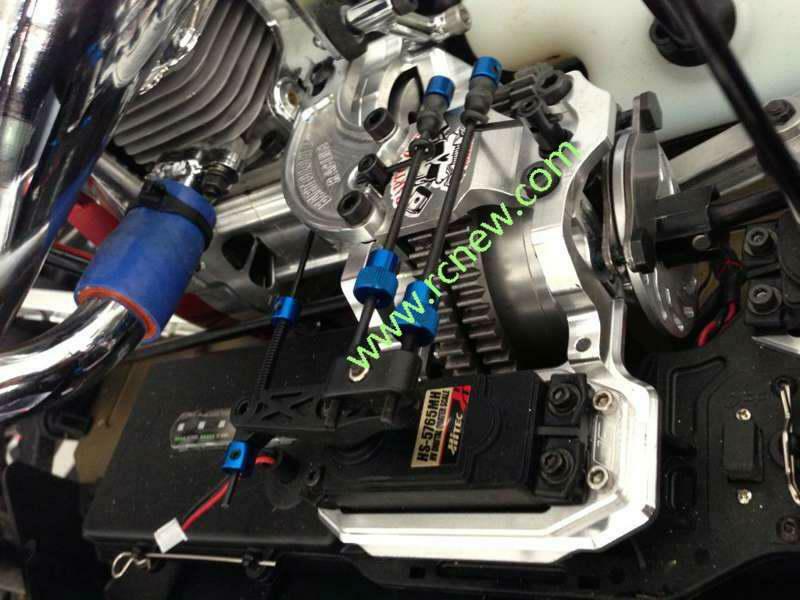 We Offer 12 Different Gear Ratios for Customer's Option. We are looking for Dealers for this item, Please contact us if you are interested in. Please contact us, we would offer more affordable price for you. We could accept most of payment terms, such as Paypal, Bank T/T, Escrow, Money Gram, Western union.